Learn how to get the most out of the Disney World Dining Plan. Use your dining plan credits wisely and get the most value for your dining plan credits. If you have decided to go ahead and purchase the Disney Dining plan, or got it free with your holiday, here's a guide showing you how to get the most value of out of your Disney Dining credits. 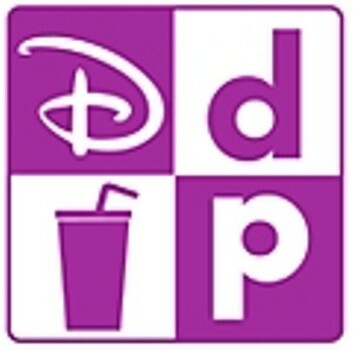 View the Disney Dining Plan page to see what credits you get with each plan if you don't know already. To redeem your credits, you use your magic bands. They will ask to scan your magic band, you type in your PIN, and you're ready to go. The quick service can be used all counter service food establishments at Disney World. Think of quick service locations like fast food places here. You order at the counter, they put your food on the tray, and you take it to a table to eat, and clear your tray after. We use quick service for breakfast, have snack during the day, then table service for dinner. Today, the quick service credit includes an entree and a drink. It does not include dessert (table service meals do, however), but you now get 2 snacks per day instead of 1. If you really want dessert with your quick service meal, some quick service desserts can be redeemed with a snack credit if you desire. To get the most out of your quick service credit, one of the obvious ways is to order the most expensive thing on the menu. Although quick service meals tend to cost no more than $15, they do range from $10-$15 so there isn't really a lot in it. Getting the best value for your quick service is probably taking advantage of the variety of offerings. You'll find burgers, hotdogs and the like at most places, but there are some unique quick service dining locations. Flame Tree Barbecue at Animal kingdom is quite popular, as well as Sunshine Seasons at Epcot. Both of those serve dishes you won't find anywhere else. Don't forgot to get the drink with your quick service credit, the drinks range from $3 for a water, to over $5 for energy drinks. These are NOT refillable. Table service meals are at a sit down restaurant where you have a waiter or waitress see to you. These tend to need reservations and serve much better food than the quick service locations. These use a table service credit, but also keep in mind the extra cost of tipping. The variety of table service restaurants at Disney World is immense, and so is the price range! Thankfully, being on the dining plan does take the cost factor out of it a bit for you, so you can choose what you want to eat without worrying too much about the price tag. The majority of Disney World table service credit restaurants require 1 credit (as you'd imagine), but they do have some fine dining options, which are more expensive, and require 2 table service credits. When you're searching for restaurants on the Disney website, you can click the 'Some dining plans accepted' link on a restaurant's page to see how many credits it requires. Keeping to the 1 credit restaurants, they can differ widely when looking at their price range. For example, the Hollywood & Vine can cost up to $60 each, while a meal at Nine Dragons at Epcot can only cost around $20 each. Both of those places require only 1 table service credit. If you care deeply about getting the most "money" value for your credits, look over the menus and see which places are more expensive. If you want to get the most expensive items on each of the menus, you'll be eating a lot of steak or seafood. If that's what you want, that's great, you're in luck! I find getting the most value out of the table service credit is taking advantage of the many buffets and having character meals. These tend to be the pricer options, but thankfully they're our favourite places to eat. The variety and quality is always above average, and the few places that have characters meets just top it off perfectly. You'll be offered a drink that's included with your meal too. If you have a fountain drink or soda, they'll include unlimited refills. Snacks can be used on anything where you see the icon. These can include drinks, cakes, cookies, Mickey ice creams and all the good stuff. Pretty much all non-meal foods up to $5 are included as a snack. We have found 2 ways to get the most out of your snack credit, and that's buying a Starbucks Frappuccino (or any other Starbucks drinks, but it is warm remember). The snack credit can buy you any sized drink, and the large ones are always north of $6. And secondly, depending on the time of year you're visiting, Epcot run several festivals throughout the year. These usually include food booths were items up to $9 can be used as snacks. Have a look at the image below of some the cakes and cookies you can buy with your snack credit.